Bottega Veneta Shower Gel, 6.7 oz. 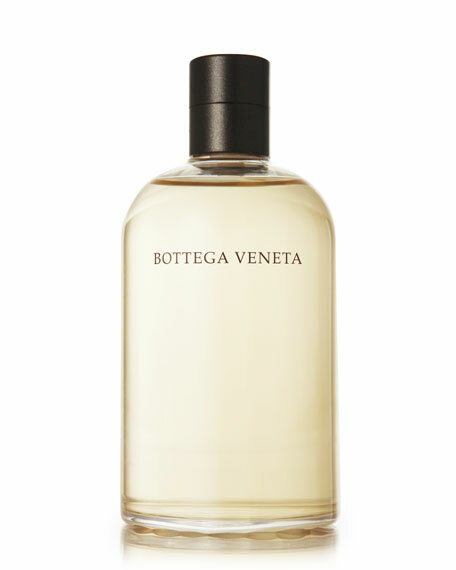 Bottega VenetaShower Gel, 6.7 oz. Harmonious contrast between modernity and tradition, this fragrance continues to radiate through its specific leather accord, symbol and signature of Bottega Veneta fashion design. Representing the artisinal craftsmanship, the bottle incorporates the "motivo intreccio" giving it the Bottega Veneta identity and subtlety.